I completed my MBiolSci in Zoology at the University of Sheffield, before joining Dr Gavin Thomas’s research group as a postgraduate research assistant in July 2014. Predominantly based at the Natural History Museum at Tring, my main roles were to build 3D models of bird bills from museum specimens and curate the associated bill morphology dataset. As a keen birder, having the opportunity to work with one of the biggest ornithological collections in the world was a real privilege. In October 2016, I moved back to Sheffield to start my PhD. 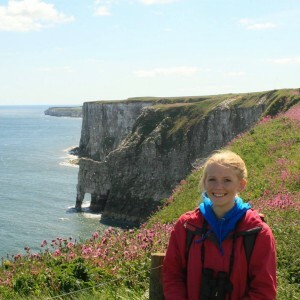 My PhD research aims to investigate the effects of global change on avian diversity. With limited resources, it can be challenging to identify how best to apply conservation efforts to maximise global biodiversity protection. Considering biodiversity in terms of species richness (the number of species in a given area) doesn’t take into account variation in the evolutionary heritage or ecological roles that different species represent. Therefore, my research will focus on two alternative measures of biodiversity, phylogenetic diversity (PD: the amount of evolutionary history present in a community) and functional diversity (FD: a quantitative measure of the functional roles species in a community fill). More specifically, I will i) investigate the relationship between PD and FD, ii) describe the macroecological patterns of PD and FD in birds, iii) test how projected climate and land-use change scenarios will affect global patterns of avian PD and FD. My PhD studentship is funded by the NERC as part of the ACCE (Adapting to the Challenges of a Changing Environment) DTP. I am an enthusiastic birder, and spend much of my free time exploring the local Peak District. 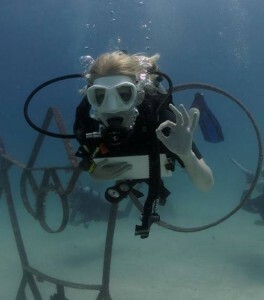 I also love to travel and discover new countries, cultures and wildlife, both on land and beneath the sea!